Adrian Flux specialise in niche motoring markets including imported cars. We aim to provide low cost, high quality insurance for all imported vehicles. Adrian Flux specialises in providing peace of mind cover at a great price for grey imports, sometimes known as parallel imports, which are cars imported legally but not through the manufacturer's official distribution networks. American imports have always been popular but nowadays Japanese imports are winning an increasing share of the market. While the trend used to be for huge imported American muscle cars, many now favour a Japanese imported car because they tend to have lower mileage and higher specifications than the equivalent UK product. Being frequently available at value for money prices, these grey imports from Japan are becoming ever more popular with people who know their cars. If you are thinking of buying a car, importing one from abroad has never been easier but finding the right insurance policy can be a very different matter! When you bought your grey import car, you probably went to a specialist dealer and when you buy parts, you probably call a specialist, too. The same should apply when you are looking for grey import insurance services. Our insurance experts can match quality policies to imported and custom cars, no matter how rare or unusual. We provide better policies with lower premiums by offering a tailor-made service to our customers. By weighing up each case as a risk, we can lower the cost of your policy. With over 25 years experience, Flux Cherished has a reputation for designing insurance that matches your needs to your budget. The Cherished department has a whole spectrum of specialist schemes to cover all varieties of import including grey, parallel, American, Japanese, left-hand drive, European and modified. We even have deals for imported kit car or rebuilds with Q-plates. Our policies for import cars are already amazingly cheap, but you could save yourself even more money if you follow our simple tips for getting the best possible premiums. For younger drivers that may mean a saving of hundreds, or even thousands of pounds, but older drivers can save big too. Improve your driving: Advanced driving qualifications can reduce the price of your car insurance by up to 25%. Newly qualified drivers should consider taking a PassPlus or Any Driver BTEC course. If you've been driving a bit longer, complete advanced driving courses such as IAM or RoSPA. Schemes like these can reduce the likelihood of accidents and that means cheaper insurance. Our staff are used to finding policies to suit unusual and even completely unique cars. 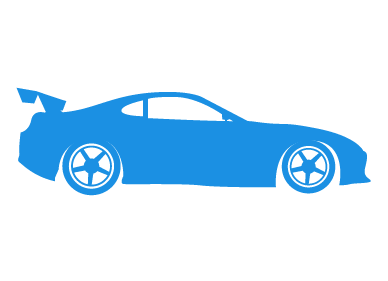 Experienced in grey import insurance, they will calculate your import car insurance premium individually, using knowledge of the many insurance schemes on offer. Our quickest and cheapest import insurance rates are always available over the phone. Call 0800 369 8590 or book a free call back at a time that suits you (9am to 7pm Monday to Friday & 9am to 4pm Saturday).